Hi. 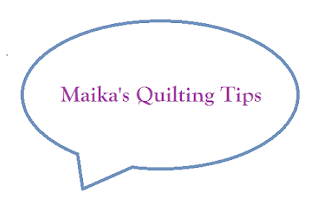 My name is Maika Christensen of A Quilted Marvel. I live in Durango, Colorado. 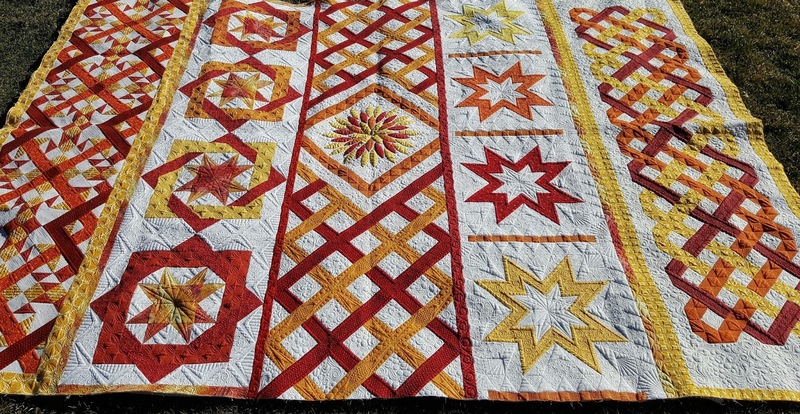 My quilting story began about 18 years ago. I was in college. My extended family began to get together annually for a Family Quilt Retreat. For the first couple years I refused to go because “quilting is for old ladies”. My mom finally convinced me to give it a try. 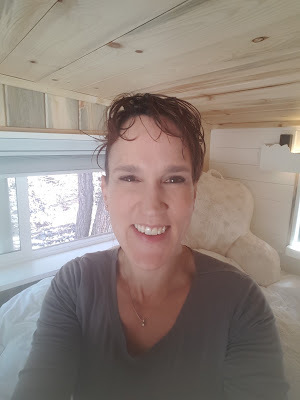 So I attended quilt retreat one year and loved it! At that point, I probably just loved the people, but the love of quilting took hold soon afterward and has not let go. I pieced quilts for about 5 years before I decided I wanted to try my hand at machine quilting them myself. I was pretty awful, but really enjoyed doing it. So I kept practicing. After a few years of destroying my own quilts, I started in on family members (bless them!). Over time I got better and better until I was ready to do quilts for others. I absolutely love machine quilting. It is so creative. I am always online looking at what other artists have done, looking for something new to add to my repertoire. The best part of the small quilting business I have built is that I do it from my home. I am a stay-at-home mom with two little girls. It is wonderful to be able to do what I love, while not missing out on my children. 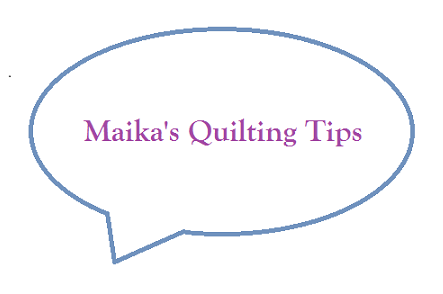 I use my regular Bernina sewing machine to do all my quilts. That’s what I learned on, and that’s what I know. So I have decided not to make the move to a long-arm. The money aspect also help with that decision. My family continues to get together each year. This is my absolute favorite “holiday”. I look forward to it like kids look forward to Christmas! We meet for four days, completely sequestered from any men or children (unless you have an infant under one year- they are always welcome). We quilt and quilt and laugh and eat chocolate and quilt…and sometimes cry (darn you directional fabric!). We do not, however, schedule much time for sleeping. But I guess that’s optional. The quilting talent is strong in my family *Star Wars reference*. One of my aunts is a machine quilter like me. Another very talented aunt, Jill Finley, owner of Jillily Studios, designs quilt patterns and notions. She lets me quilt a lot of her projects, letting me feel a little bit famous when my name briefly appears in a magazine. My mother excels at all varieties of sewing; she made my wedding dress! 1. Use a “Sew Slip” or similar product to help your quilt move under your machine. 2. Drop your feed dogs and set your stitch length to 0. 3. Use something to help you grip your quilt. Many people wear quilting gloves or wraps; I personally find these very annoying and not real efficient. I’m embarrassed to admit what I do, but I spray my hands with basting spray! Makes a world of difference when your quilt moves easily. Choose your method, its personal preference. 4. If you are going to put in a lot of hours into a quilt, do yourself a favor and double batt your quilt. It doesn’t add much to the total cost, but it makes the quilting absolutely pop. It shows all your hard work that much better. 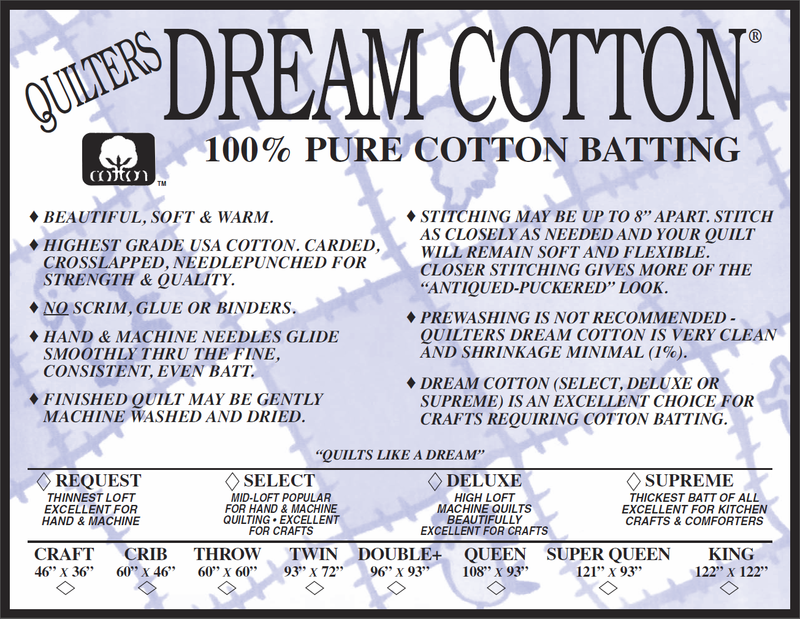 I like to either double up on Quilter’s Dream Deluxe loft cotton batting or layer cotton batting with Quilter’s Dream Wool. These are my favorite battings and I stock both in my home. 5. Start in the middle of your quilt and work out. You are less likely to get bunching on the back. 6. My current machine has a larger-than-normal throat space, allowing me to quilt any size quilt without issue. But I started on a basic machine and had to learn to “quilt in thirds” to finish queen and king size quilts. This means cutting your batting into three pieces. Then you only baste the middle section of the quilt. You quilt that section first (this means that you only have to squish fabric in the throat space; not a ton of batting.) When the middle section is done, you fold back the quilt top and backing fabrics and zigzag-stitch together a length of batting to the middle batting piece (don’t quilt all the way to the edge of the batting so you have room to stitch the next section to it) and baste that section. Then you machine quilt that end of the quilt. Then you repeat the process on the other end of the quilt. This process allows you to never have to stuff a bunch of batting in the throat space of your machine. I’ve quilted king size quilts this way. ￼This quilt I designed based on a famous Japanese painting. 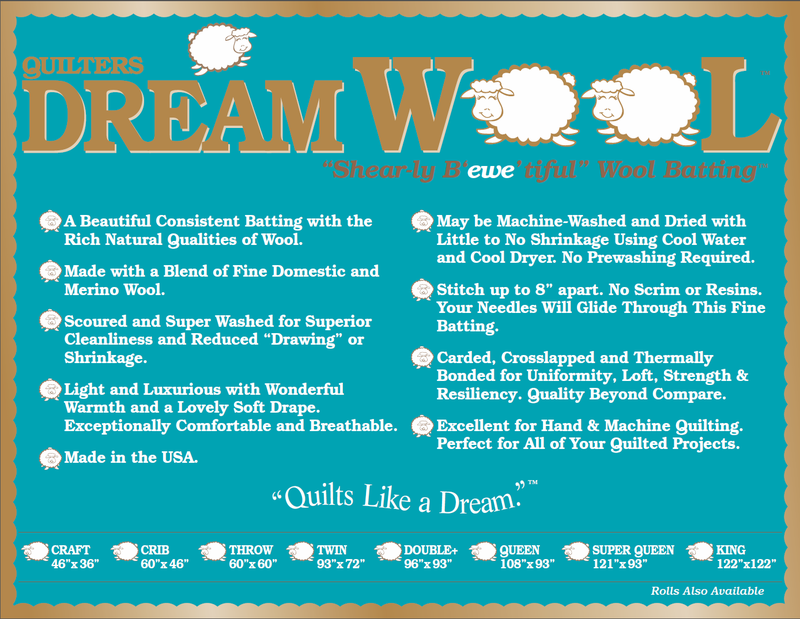 It was sewn using Quilter’s Dream Deluxe Cotton, layered with Quilter’s Dream Wool. It was juried into the International Quilt Show in Houston this year, which I was quite proud of, even if it didn‘t win anything. Above is a round robin that I did with my mother and sisters. I also double batted it using Quilter’s Dream Deluxe Cotton and Dream Wool. My Cozy Village Pattern Pack Giveaway + Batting Giveaway! 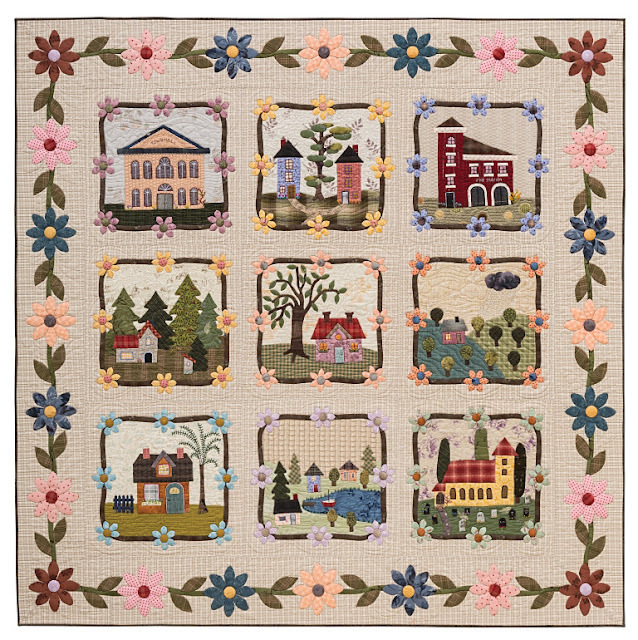 We are excited to be a part of book author Felicia Brenoe's success in releasing her new pattern pack, My Cozy Village! 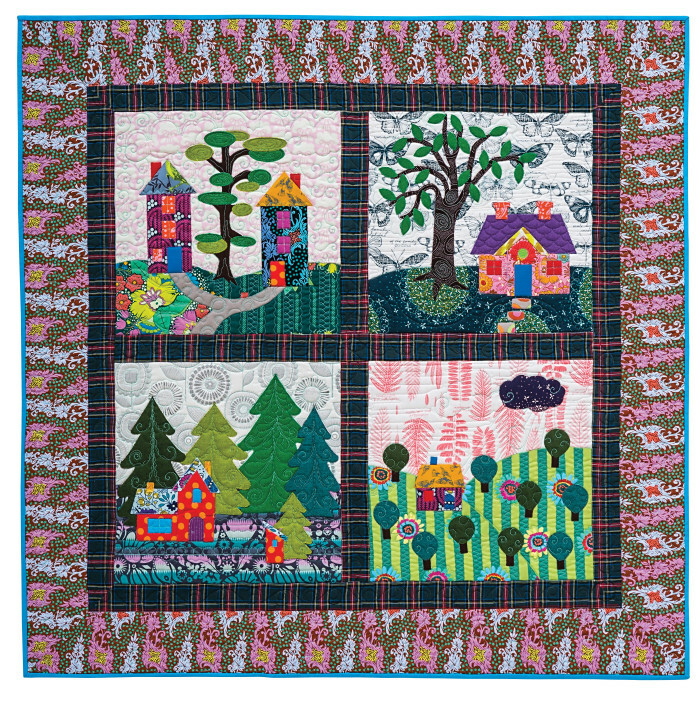 In the two different versions of the quilt below, Felicia used Quilters Dream Batting. Today we are hosting her blog tour and in addition for a chance to win a copy of Felicia's new pattern pack, YOU will also be entered to WIN some Quilters Dream Batting! Congratulations BEC on winning the drawing!! Describe your dreamiest, coziest quilting spot. One lucky winner will receive a My Cozy Village pattern pack, a Dream Green Twin, Dream Pink King and a Dream Orient Double. Entries must be made by March 15th, 2016 (12am EST). Winner will be announced March 16th 2016. ***Please make sure if you are posting your comment anonymously, that you provide a valid email address to be contacted if you win! 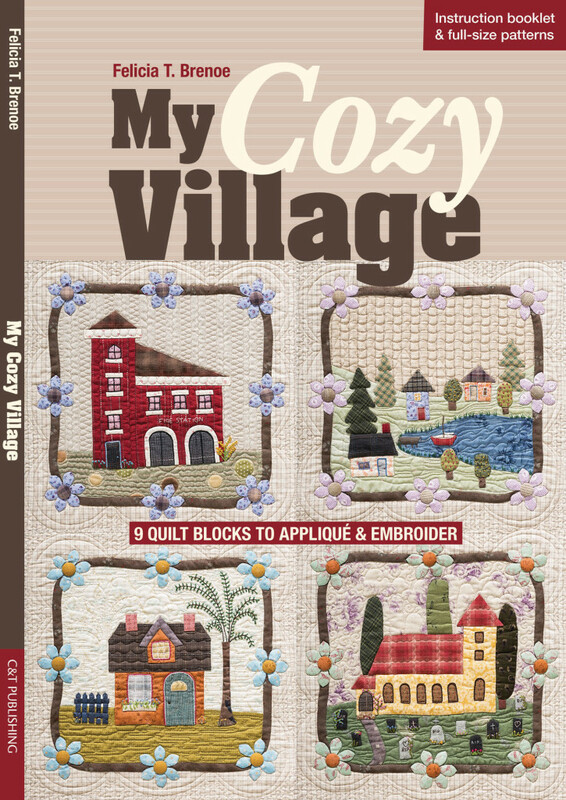 Have fun visiting all the great blogs and websites of the My Cozy Village blog tour this week. Make sure to stick around until the final stop of the tour on March 15 th at www.feliciasworld.com for the final giveaway of the My Cozy Village pattern pack.